The first man to reach the South Pole, Norwegian Roald Amundsen (1872–1928) explored both the Arctic and the Antarctic. As a mate on the Belgica expedition of 1897, the first one to winter over on Antarctica, Amundsen gained invaluable experience with skis, sleds, and sled dogs. Between 1903–06, he commanded the Gjöa, the first single ship to complete the Northwest Passage (crossing from the Atlantic to the Pacific Ocean through the Arctic Archipelago). Amundsen then purchased fellow Norwegian Fridtjof Nansen’s boat, the Fram, which was specially built to resist being crushed by ice, and headed for the North Pole in 1910. Upon hearing that that Robert E. Peary had already reached it, Amundsen changed his mind and headed south. He cabled the news to Robert F. Scott in Melbourne, Australia, igniting the race to the South Pole. Amundsen drew on his polar experience to try an unexplored route across the Axel Heiberg Glacier, which served him well. He landed on the Ross Ice Shelf with 116 dogs and started for the Pole on October 20, 1911 with four companions, four sleds and fifty-two dogs. He reached it on December 14, 1911, thirty days ahead of Scott. These excerpts are from Wendy Trusler and Carol Devine’s journals starting in December 1995 during the Joint Canadian-Russian Ecological Expedition, “Project Antarctica II”. 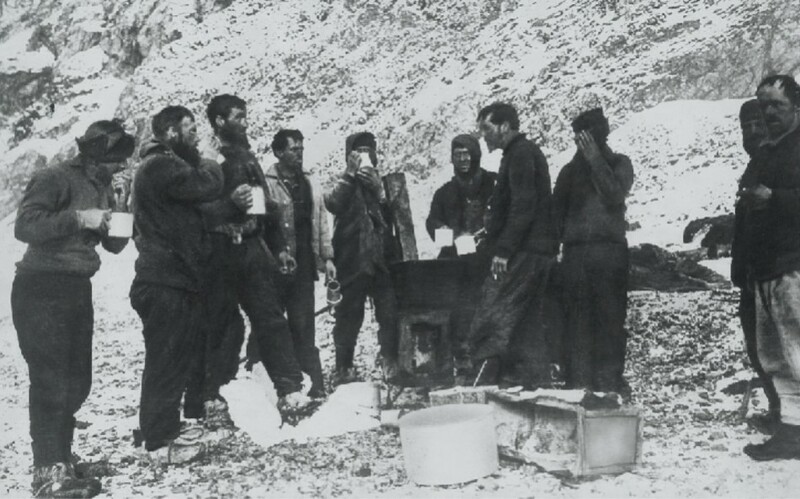 This civilian clean-up project at Bellingshausen Research Station on the Antarctic Peninsula was a unique collaboration between The VIEW Foundation and The Russian Antarctic Expedition. For three months, small groups of volunteers from Canada, the USA and South Africa were dropped by ship at Bellingshausen to live and work for four to five days. They hauled massive old fuel pipes to be cut and bundled, filled drums full of garbage and picked up hundreds of old nails by hand, all of which was removed from the base when the visitors left. The journals chronicle their work, the food shared, and lessons about cooperation and humanity learned along the way.